My completed custom jetbikes... thanks for the previous comments in the previous post. I've tried to adjust the rider in the following bikes to make it look a bit more 'riding' but the loose joints made it rather a daunting task. Anyway, here are the pics, CC welcome, thanks! Awesome work mate, I love these re-posed Jetbikes. 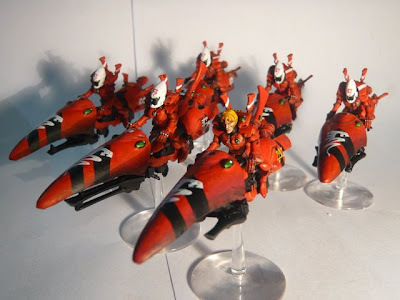 They fit the Eldar imagery alot more for me, and they work especially well in a Saim-Hann force. 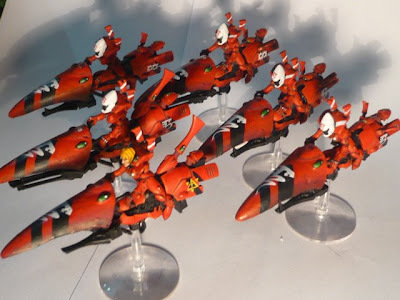 Yeah, very good work indeed - its a real inspiration for me to eventually get my Saim-Hann done. What are you planning on painting next? 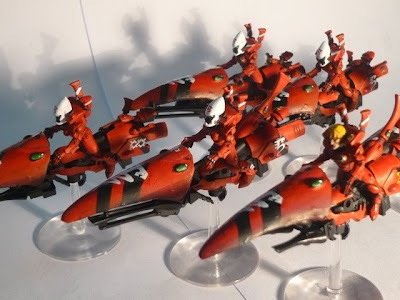 I too like the jetbikes, they give the army a completely different feel. 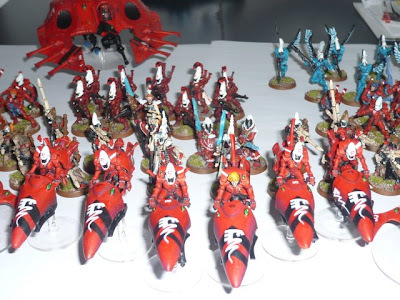 Very Eldar looking and how I envision them... they just seem to fit. 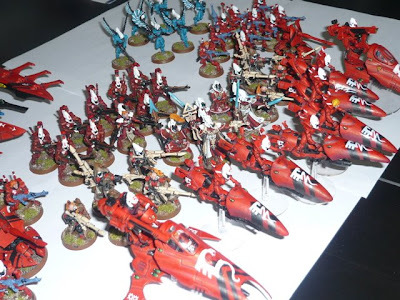 Next in the pipeline is to increase my Tau forces (I alternate between the 2) and the next thing on eldar are harlequins, can't wait to get those started! Nice! 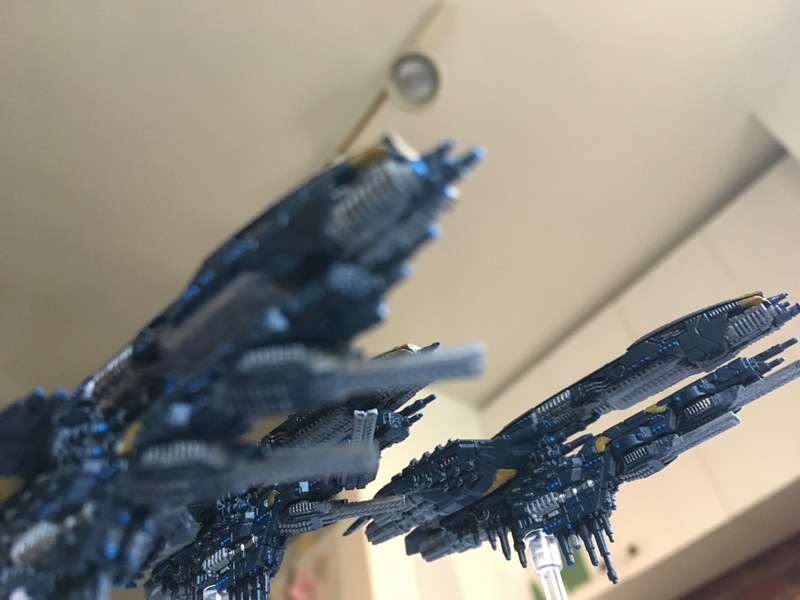 Quite an impressive warhost!